Bessie Coleman, Willa Brown and Janet Brawn proved that perseverance, determination and courage are qualities early Black female aviators had to demonstrate to reach their dream of flight. They demonstrated a "show the world I can" attitude. 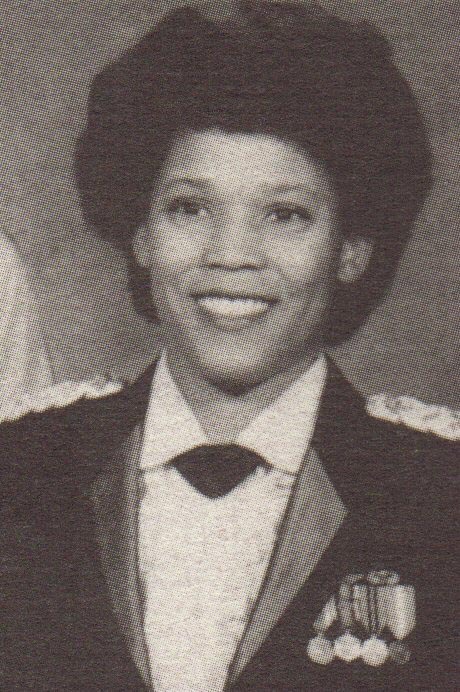 Marcella A. Hayes took a page from that book when she became the first African American female (at age 23) to receive aviator wings in the U.S. Armed Forces in November of 1979, when she completed Army helicopter flight training at the U.S. Army Aviation Center, Fort Rucker, Alabama. A native of Centralia, Missouri, she became interested in flying when her ROTC company commander and an aviator, talked to her about aviation while at the University of Wisconsin in the 1970s. She graduated from the university with a BA in English in 1978 after an initial interest in becoming a doctor. She enrolled in the Army in late 1978, and received her wings almost a year later. Hayes related her experience as a flight student a few months into the program by stating, "I must say that my view of flight school is lot different than when I first got here. Before, everything seemed so awesome. I guess it was a whole new experience. Everyday was a challenge because there was always some new skills to master." Mrs. Ng believed that her success was do in part to flight school being a motivator. "You have to keep telling yourself, "I can do it. I can make it through."' The other part was to "stay…. confident that you will succeed." Currently, Mrs. Ng is a Lt. Colonel on assignment in Korea. She is married to Lt. Colonel Dennis Ng (Army) and has three children.